[Forum Event] Show us your guild! For many players, your guild is a bit like a family. Which is funny, because you’re often a group of people that are from far away places that have somehow been brought together on the same server, in the same faction, to fight for the same team. 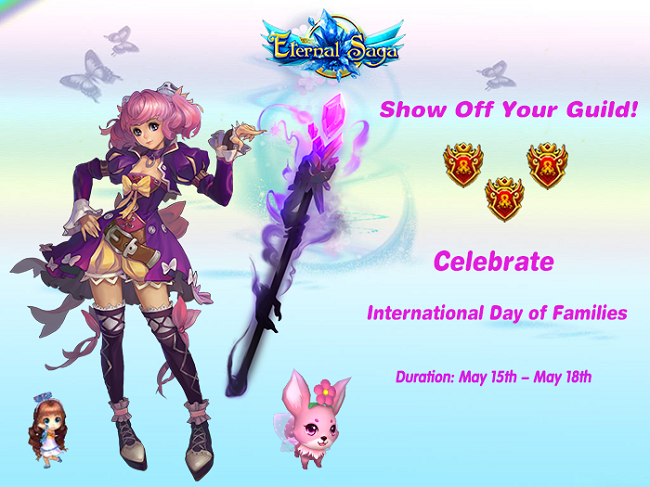 Show off your guild family from now until May 18th by following the rules below, and you and your fellow guild members could be handsomely rewarded! 1. Organize your guild members for an in-game family photo op. Your screenshots can be funny, tragic, or something simple that shows off your guild’s unity. 3. A post with multiple screenshots is more preferred. 4. Multiple posts from members of the same guild are also OK, so long as you use different screenshots and captions. However, to keep things fair, each guild is limited to just one reward. 5. Be kind; offensive or unacceptable posts will be removed. 6. Rewards will be sent out within 3 days after the winners are announced.